Have you ever dealt with emergency dental care? When you wake up in the middle of the night because of a toothache, you can’t just dismiss it because it causes the kind of pain that makes you not sleep. What do you do then? Well, the first things thing that you need to do is to know what can be done to alleviate your situation. Once you know whom you can turn to for help, you can easily solve any situation that may need experts in emergency dentistry. 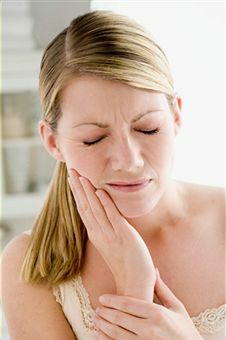 Luckily for you, despite the terrible pain that a toothache could cause you, you have more than a handful of options to get rid of your pain. If your gums are bleeding or your toothache doesn’t go away even after drinking pain relievers and worse it’s in the middle of the night, then the best place to get help is the ER. Although the ER staff may not be able to perform a cleaning or to provide root canal services, they would be able to help you relieve the pain. Perhaps the best thing that you can do to yourself is to call Greenline Dental Centre. It is not all the time that you will find yourself in emergency situations but it is definitely helpful to have a dentist you can call for help whenever needed. There are several dentists who also offer weekend services. Ensuring that you have a reputable dentist you can depend on is enough to make you feel confident that you won’t suffer from oral health problems. If ever you do, they will know how to help you.